THE Merdeka Day weekend is long and if you are planning to have family and friends over, why not throw a barbecue party? You definitely want the food to be cooked to perfection. 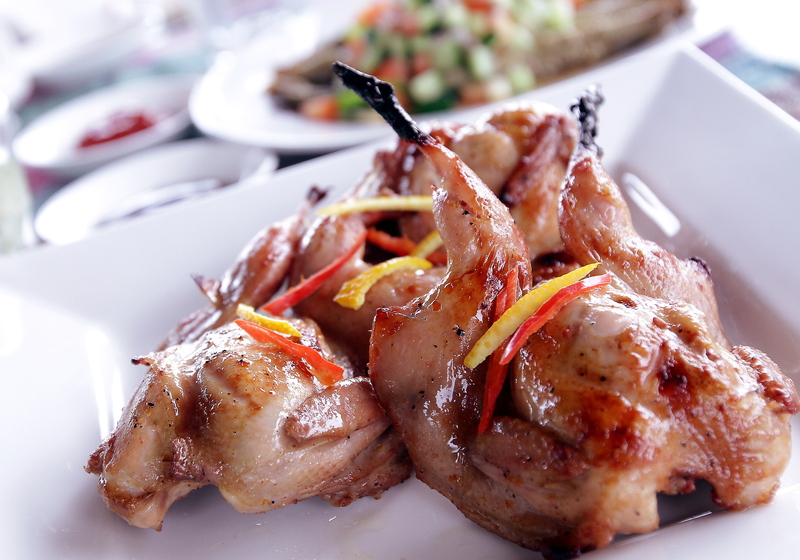 This recipe for Grilled Quails with Chilli/Orange Marmalade will be a great addition to the party. Remove backbone quail and splay it open into butterfly cut. Clean inside out and pat dry with tea towel. For marinade, add all ingredient except for fresh chillies. Place quail in a resealable plastic bag and pour marinade into it. Mix well and leave it in the fridge for at least two hours. Grill on a lower heat, skin side first until it browns (10 minutes) and turn it over to cook evenly (another 10 minutes). Place on a serving plate with garnish with orange peel and sliced fresh chillies.